Priorin L Liquid Formula combines Baikal herbaceous root extract and soya and wheat extract. Formulated together with Pro-Vitamin B5, this Liquid simultaneously moisturises hair and maintains the scalp. Many factors can cause low hair quality and thin hair, for instance, intensive brushing, tight hair styles, too hot blow drying or treatments like chemical colouring. Psychological stress and unbalanced diet of city life also play a role. 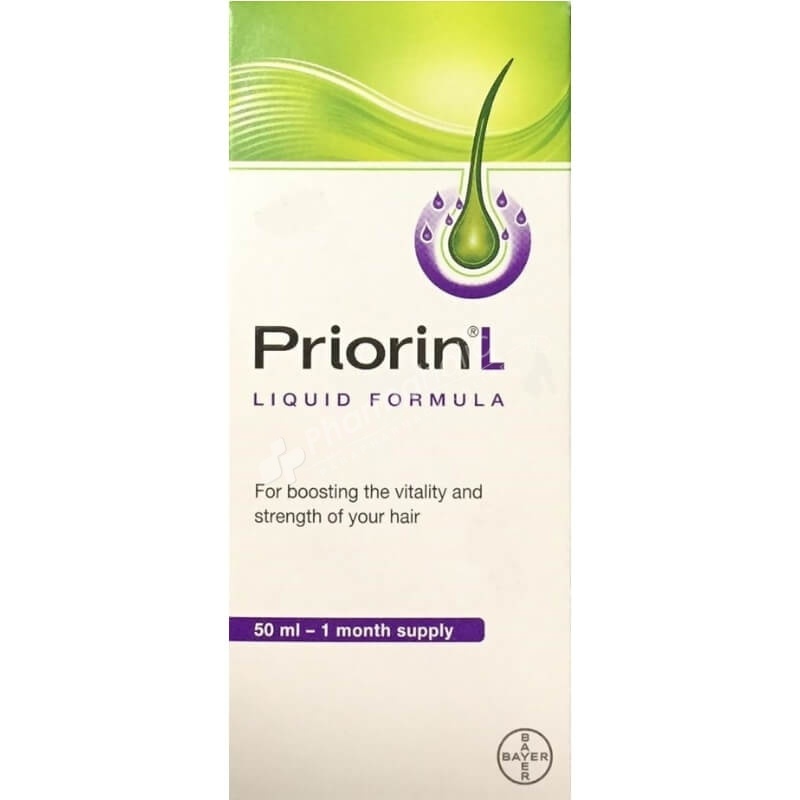 Priorin Liquid is your hair loss remedy**. It contains the innovative ingredient complex Baicapil ™. This plant-based complex combines Baikal herbaceous root extract and soya and wheat extract. Formulated together with Pro-Vitamin B5, this Liquid simultaneously moisturises hair and maintains the scalp. Spray only once a day on the scalp. Simply turn the handy spray applicator upside down. Per application 5 - 8 Spray the spray on the entire scalp. Then gently massage the Priorin Liquid into the scalp. Finished! Priority Liquid smells pleasant and does not have to be washed out. It does not leave any residue in the hair and does not stick it. This way, as a woman, your hair can be styled and styled as usual.